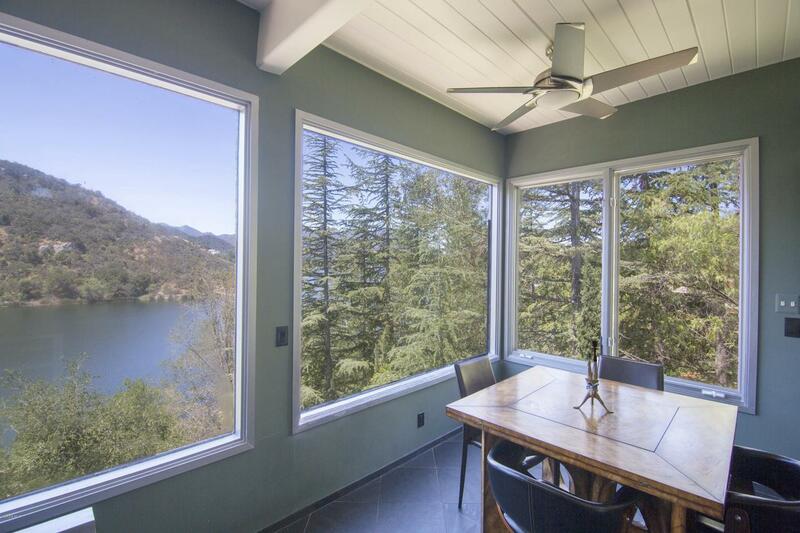 A Midcentury dream with panoramic, unobstructed lake and mountain views! 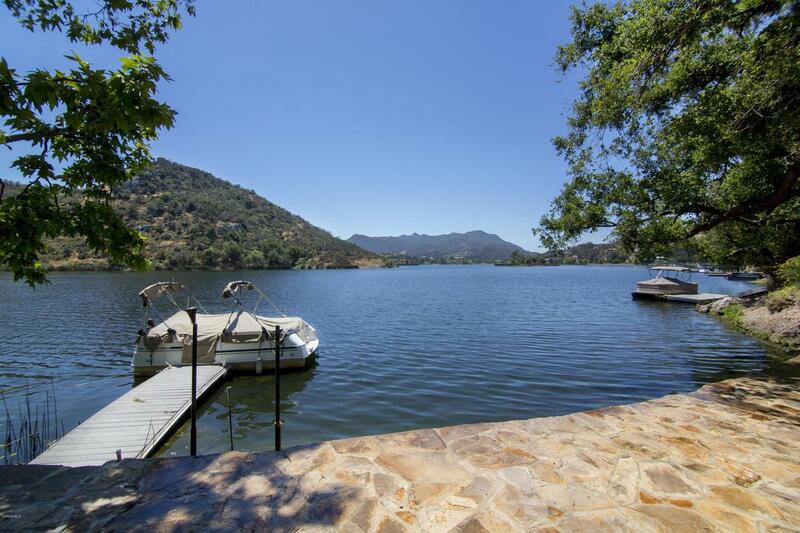 On the waterfront at private Lake Sherwood with 65 feet of private lake frontage. Open floor plan with decks on both levels to enjoy the amazing sunsets. 4 bed 3.5 bath. One of the most sought after streets in all of Lake Sherwood. Trentham Road is a privately owned, newly paved cul-de-sac at the deep end of the lake. 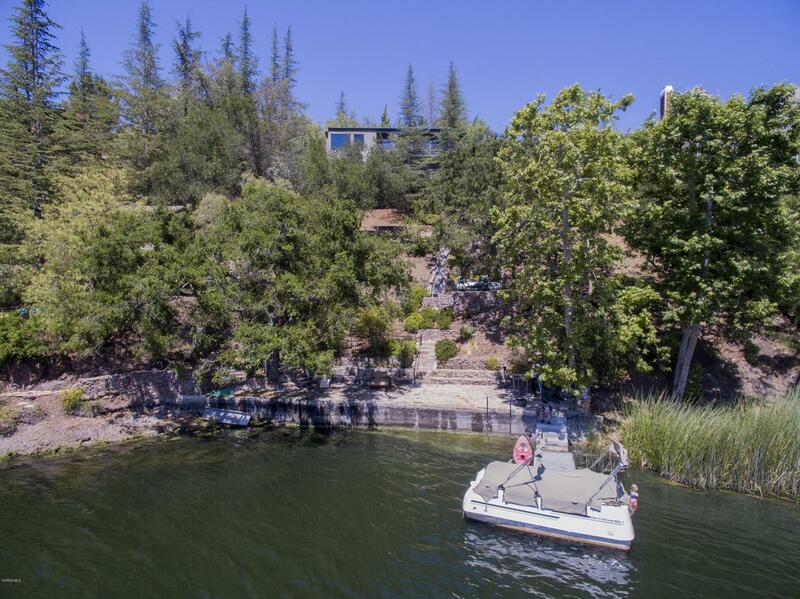 Swim boat and fish at your lake house with private dock. Close to Westlake Village, public and private golf courses and top rated schools. Parking for eight cars.Great film and photo location site. Owner has real estate license. Close to top-rated schools. 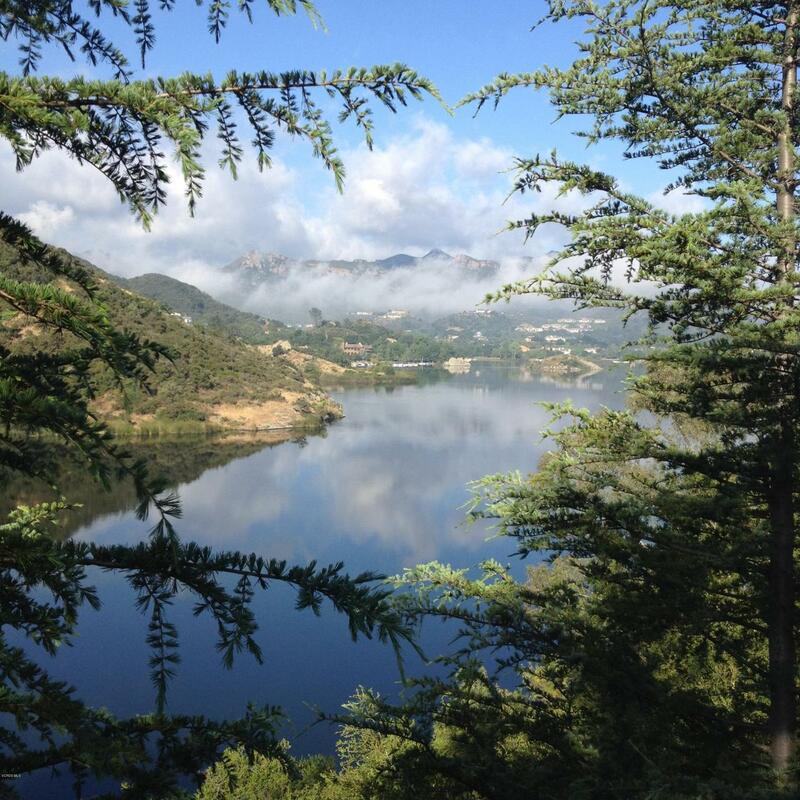 Lake Sherwood has a fire station and is a water source for emergencies. Property also includes APN # 695-0-110-485. Listing provided courtesy of Dana Sparks DRE#01859615 of Compass.